How Many -- Too Many Cats? This is a plaque with an interesting saying that speaks for itself. 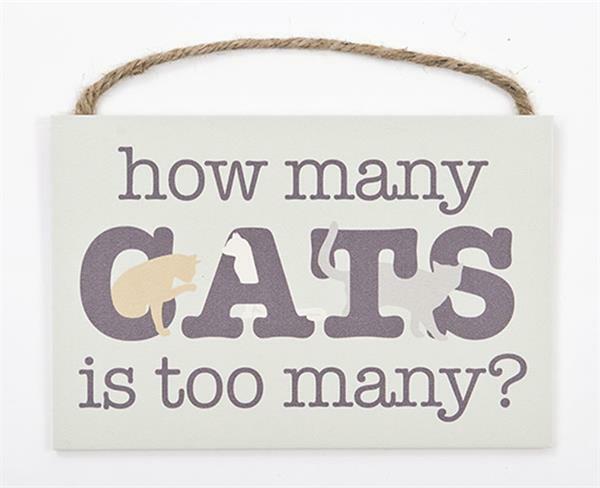 The question is "How Many Cats is Too Many?" As with a Dog Lover, that question has to be answered by each individual. The size is 9.5"x 5.75". It is made of thin wood with a rope to hang by.